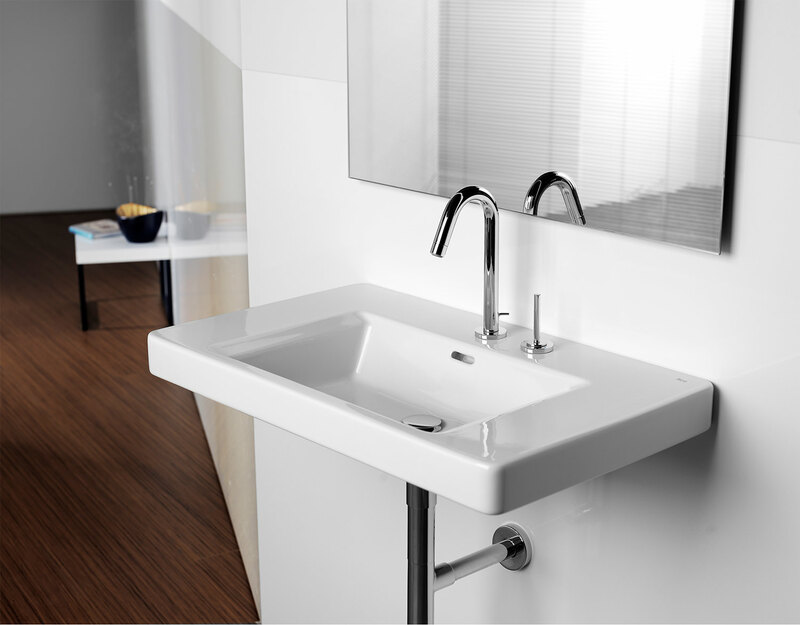 Embellishing and trendy bathroom accessories are often responsible for lending a distinctive touch to your bathroom. 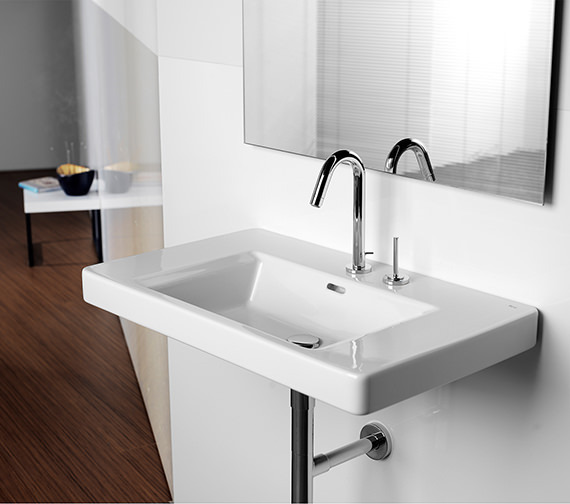 Roca offers you Singles-Pro Basin Mixer Tap, which can be a thrilling addition to your trend setting bathroom. 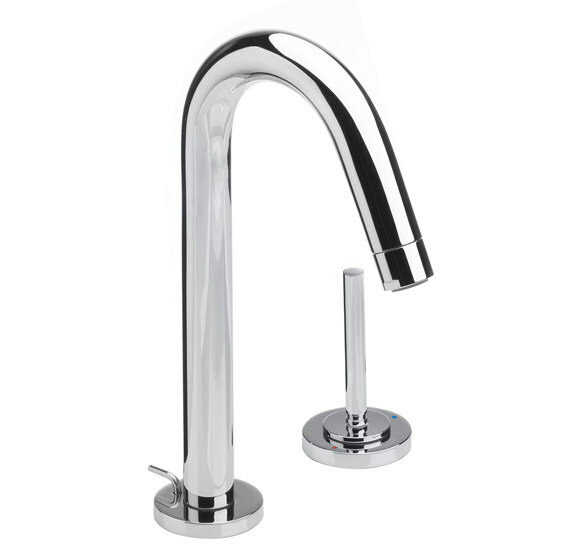 Finished in chrome, this basin mixer tap comes with separate joystick control lever and pop up waste, for convenient use. The exotic creation is made from brass, ensuring tremendous sturdiness, and provides unexpected charm to your basin. Easy-to-install, this basin mixer tap carries a 5 year guarantee from Roca, and you can avail, it at an unbelievable price from QS Supplies. Manufacturing code of this product is 5A3819C00. Unfortunately, it comes as a complete set. 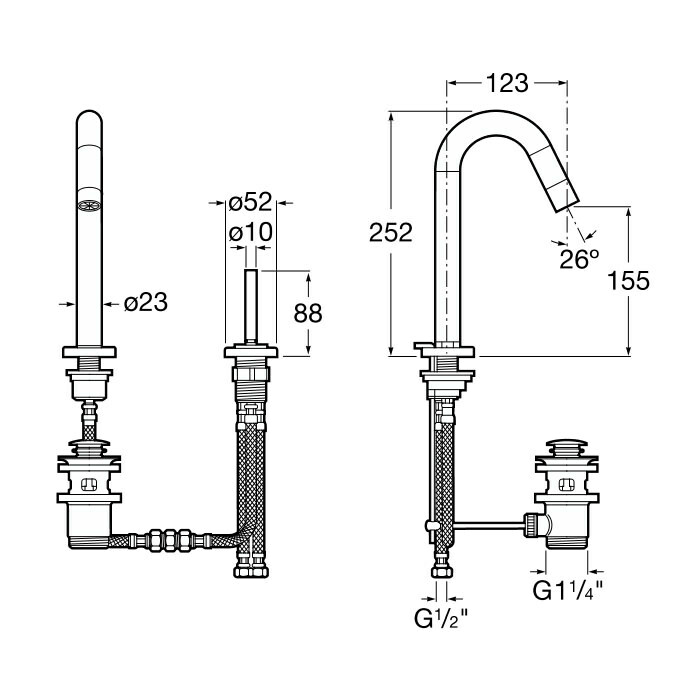 But you can buy matching spout from here: http://www.qssupplies.co.uk/Taps/Spouts/Product/463.htm You need to check the measurements before you make the purchase. Hope it Helps.